The short answer is that hiring immigrants and other diverse talent in our city is simply good business. 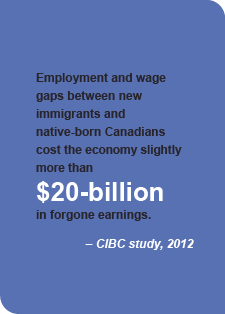 Immigrants are a growing and highly skilled and diverse segment of Ottawa’s population. Businesses that mirror the city’s diversity are better positioned to succeed. 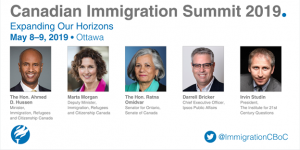 Employers in Ottawa who have hired immigrants overwhelmingly say it has brought value to their organization and positively impacted the bottom line. … And It’s Good For Ottawa. 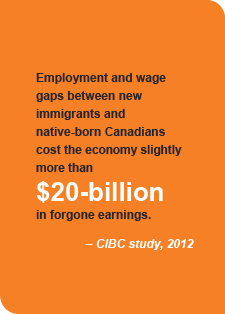 We all benefit when skilled immigrants in our community are fully employed in skills-appropriate positions.